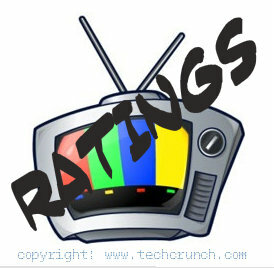 The TV options on the major networks for Memorial Day were primarily reality, repeats, special and sports; but there was on premiere of a summer drama and new episodes of two other dramas. The new Hallmark Channel movie Ms. Matched will debut on June 4 at 9 PM. A successful wedding planner is trying to make dreams come true for brides by organizing fairytale weddings. But when she is paired with a financial advisor at a wedding expo, she soon realizes that he is giving the exact opposite advice to their audience by telling them to save their money. When they are forced to spend more time together than they bargained for, they find out that they have more in common than they think. 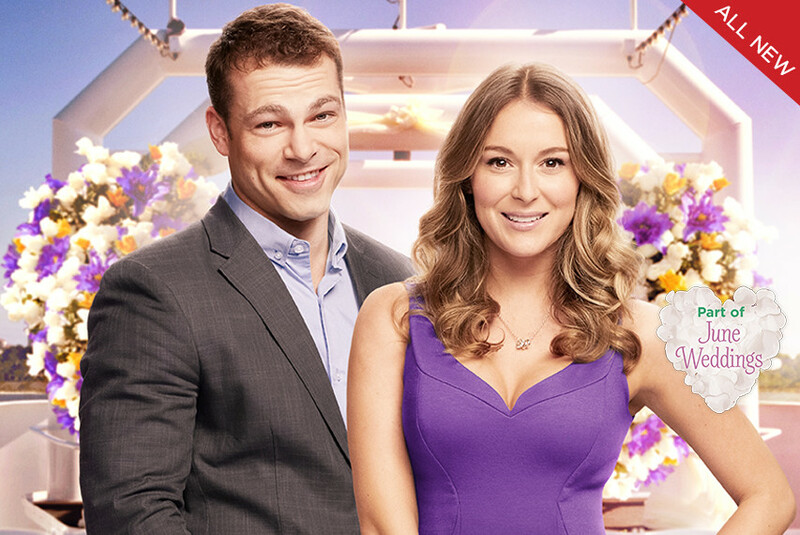 The cast includes Alexa Penavega (Spy Kids franchise and Nashville) and Shawn Roberts (the Hallmark Channel movies Recipe for Love and I Do, I Do, I Do). Here is a trailer for Ms. Matched. A new adaptation of the legendary book Roots will debut simultaneously on A&E, Lifetime and the History Channel on May 30 at 9 PM. The four-night, eight-hour event series recounts the journey of one family and their will to survive and ultimately carry on their legacy despite hardship. The cast includes Anika Noni Rose, Anna Paquin, Derek Luke, Forest Whitaker, James Purefoy, Jonathan Rhys Myers, Lane Garrison, Matthew Goode, Mekhi Phifer, Erica Tazel, Emayatzy Corinealdi and introducing Malachi Kirby. On June 1, the new season of The Night Shift will get started on NBC at 10 PM. That same night the new Australian series Cleverman will debut on SundanceTV at 10 PM. Set in the near future, the series is a startlingly original drama rooted in Aboriginal mythology, depicting a deeply conflicted and anxious society, fearful of a minority group living among them, endowed with extraordinary physical traits. One young man – The Cleverman – struggles with his own power and the responsibility to unite this divided world, but he must first overcome a deep estrangement from his older brother. Also on June 1, a new season of Kingdom will premiere on DirecTV at 9 PM. The final season of Beauty And the Beast will air on June 2 on The CW at 9 PM. On June 3, the new movie Wedding Bells will debut on Hallmark Channel at 9 PM. Nick (Kavan Smith from When Calls the Heart) and Molly (Danica McKellar from The Wonder Years), commitment-phobic and busy professionals with little in common, are asked to be the best man and maid of honor at the wedding of their mutual friends, Amy and Jamie. What they both assume will require a few hours out of their hectic lives quickly turns into a full-time job – and a life-changing romantic experience — when they end up organizing the wedding for the squabbling and ill-suited couple at a rustic hotel owned by Nick’s father. The new Hallmark Channel movie Ms. Matched will debut on June 4 at 9 PM. A successful wedding planner is trying to make dreams come true for brides by organizing fairytale weddings. But when she is paired with a financial advisor at a wedding expo, she soon realizes that he is giving the exact opposite advice to their audience by telling them to save their money. When they are forced to spend more time together than they bargained for, they find out that they have more in common than they think. The cast includes Alexa Penavega (Spy Kids franchise and Nashville) and Shawn Roberts (the Hallmark Channel movies Recipe for Love and I Do, I Do, I Do). And on June 5, the Hallmark Movies & Mysteries movie Garage Sale Mystery: The Novel Murders will debut at 9 PM. Jennifer Shannon (Lori Loughlin from When Calls the Heart) is a garage sale shopping expert whose sharp observation skills allow her to uncover valuable antiques, as well as help her local police department investigate crimes and solve mysteries. When an impoverished man enters Rags to Riches – a consignment shop where Jennifer sells the gems she’s found at garage sales – and asks to have an item home-delivered, Jennifer agrees. Upon her arrival at his run-down apartment, Jennifer finds the man murdered. As the police survey the crime scene, Jennifer cannot help but think there is something familiar about the details of the killing – and soon realizes that the victim’s coldblooded demise is a re-enactment of a murder in a classic mystery novel. On June 3, the new movie Wedding Bells will debut on Hallmark Channel at 9 PM. 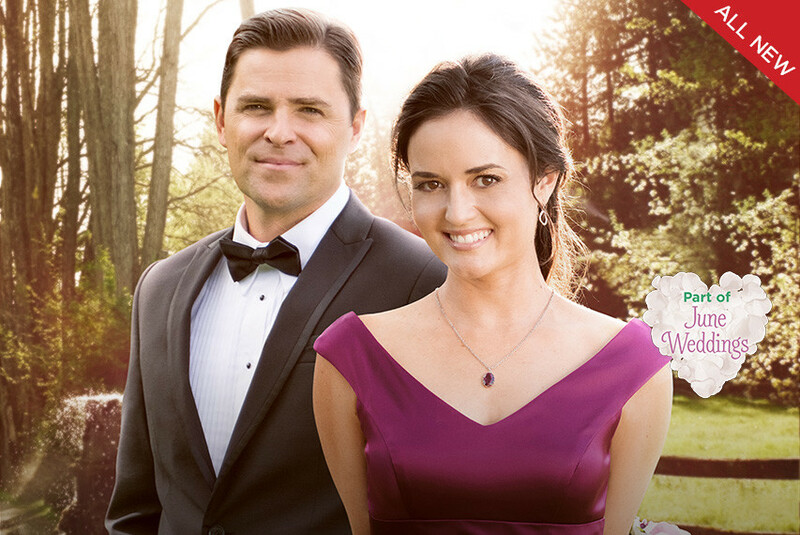 Nick (Kavan Smith from When Calls the Heart) and Molly (Danica McKellar from The Wonder Years), commitment-phobic and busy professionals with little in common, are asked to be the best man and maid of honor at the wedding of their mutual friends, Amy and Jamie. What they both assume will require a few hours out of their hectic lives quickly turns into a full-time job – and a life-changing romantic experience — when they end up organizing the wedding for the squabbling and ill-suited couple at a rustic hotel owned by Nick’s father. Here is a trailer for Wedding Bells.